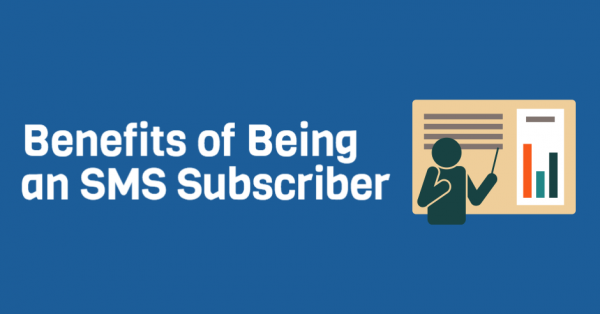 We frequently discuss the benefits that SMS marketing holds for the business owner, but what about the subscriber? Of course, there are certain obvious takeaways, one being the access to high value and exclusive promotions. But beyond that, what other immediate benefits does this mobile communication tactic offer? On the surface, SMS marketing allows you, the subscriber, to instantly connect with your favorite brands. You’re one text message away from immediate access to exclusive offers. Here are a few additional benefits that SMS marketing promises to loyal subscribers. Don’t spend 20 minutes sifting through coupons. SMS marketing offers discounts, at your convenience. Looking to get a few bucks off Friday night’s dinner? Join the SMS marketing list at your favorite restaurant, and redeem instant rewards for your loyalty. Save money and cash in on special offers when you choose. SMS subscribers receive immediate notification, and if your favorite businesses go that extra mile, subscribers will also get early access to the best deals. Let’s say your favorite clothing store is running a 48 Hour Flash Sale. As a loyalty reward, they give SMS subscribers early access to this deal. You’re the first to know about it, and can even redeem your mobile coupon one hour before all other shoppers. Tons of SMS marketing lists make use of this tactic, which greatly rewards subscribers. After joining an SMS marketing list, you’re regularly reminded of special events and one time promotions. Keep up with your favorite businesses and brands with mobile alerts. If you’re looking for a way to easily stay in the loop, SMS marketing is the perfect solution. Convince your favorite businesses to partner up with top SMS marketing provider, Slicktext.com today. Give us a call at 1.800.688.6290 or hop over to our pricing page to sign up for a free plan. We offer a feature rich platform packed to the brim with educational tools that help you succeed.